Some presents are just too big to wrap in wrapping paper or put in a gift bag. That doesn't mean you'll have to give them without a little festive flair. There are many ways that you can wrap big presents without having to follow the traditional gift wrap route. 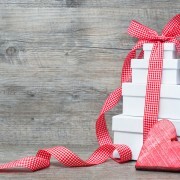 Fabric is a more durable and flexible material than most gift wrap, and there are fabric alternatives that are much wider than wrapping paper itself. So, consider wrapping a gift in a piece of fabric or a bed sheet. Sheets can be stapled or taped together using heavy duty tape, and they can make a gift look just as festive as wrapping paper. Add a bow on top of the fabric-wrapped gift to give it an extra celebratory touch. 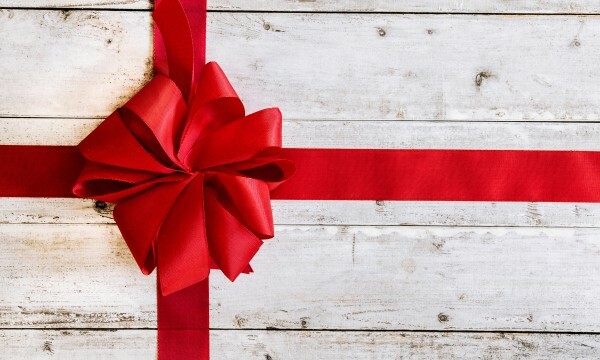 For an item that's genuinely too big or difficult to wrap in paper or fabric, like a car or bicycle, consider simply attaching a large bow to the top of the gift. 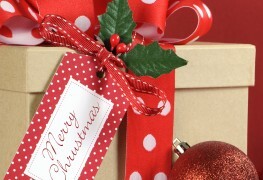 Many gift wrap companies sell pre-fabricated large bows that can simply be attached via string or tape. You can also make your own large bow at home using pieces of wrapping paper, magazine pages or newspaper. Dog and cat food often comes in large, durable bags, which can be great to use as a gift bag. Simply wash the bag of food out when it is empty and thoroughly dry it. 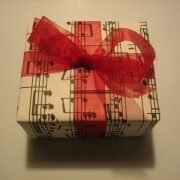 Then, you can put the gift inside of it, staple it to seal it, and top with a ribbon or bow. You can also paint over the outside or tape paper over the cat and dog food labels to make it look more like a traditional gift. If the gift is too big or too difficult to be wrapped or adorned with the bow, make the finding of it a celebratory event itself. Hide the gift, then give the recipient a decorated envelope with a festive greeting then clues to find the present. You can place multiple clues leading to one another to make it more of an involved hunt. 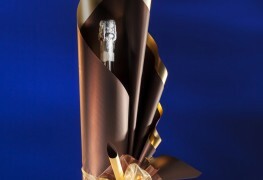 At the end, the recipient will find the gift and have the note and experience of the scavenger hunt to go along with it.